Yet another year has flown by in a blink of the eye and I’ve had a wonderful year travelling around the globe, starting in Belfast and ending in Venice via Canada, the Caribbean and West Africa to name but a few. It’s been a great year on Instagram for me too, growing my account from a fairly stagnant 2,500 followers to nearly 10,000 in the last six months. 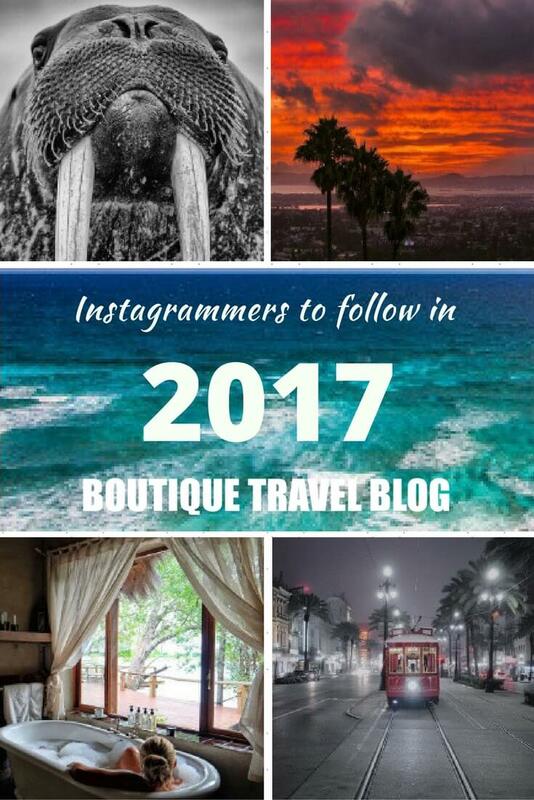 Thanks to everyone who has followed, liked and commented on both mine, @TravelWithKat, and @BoutiqueTravelBlog‘s Instagram feeds. I’ve discovered some great new accounts this year too and have been very impressed by the quality of photography from my fellow travel bloggers and photographers. In no particular order, here are my favourite 10 Instagram accounts to follow in 2017. Over the last few months, I’ve really enjoyed checking out PictureHappyPhotos feed each day, especially her spectacular sunrises and sunsets. The Travel Nova is a relatively new travel blog but her Instagram account, which Thanh launched prior to her blog, is simply flying. I love Thanh’s clean, crisp and wanderlust-inducing images. Ready for some fun and adventure? 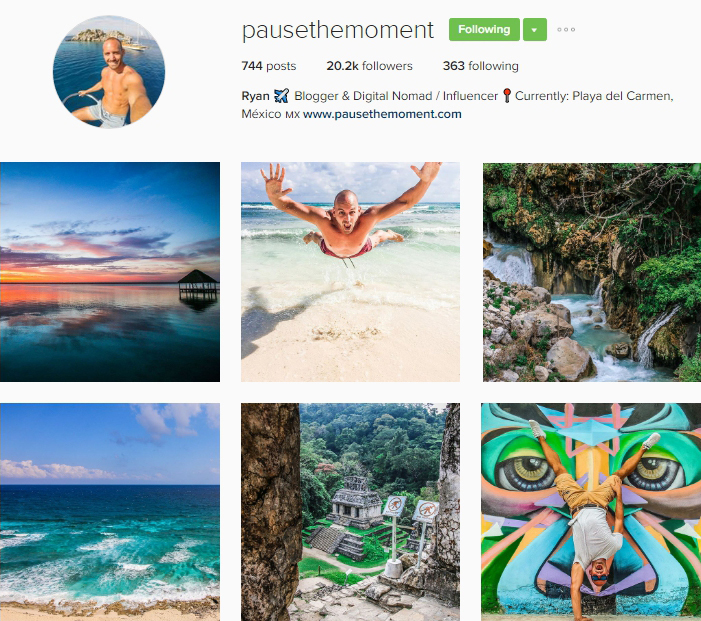 Then check out Pause The Moment‘s Instagram feed. 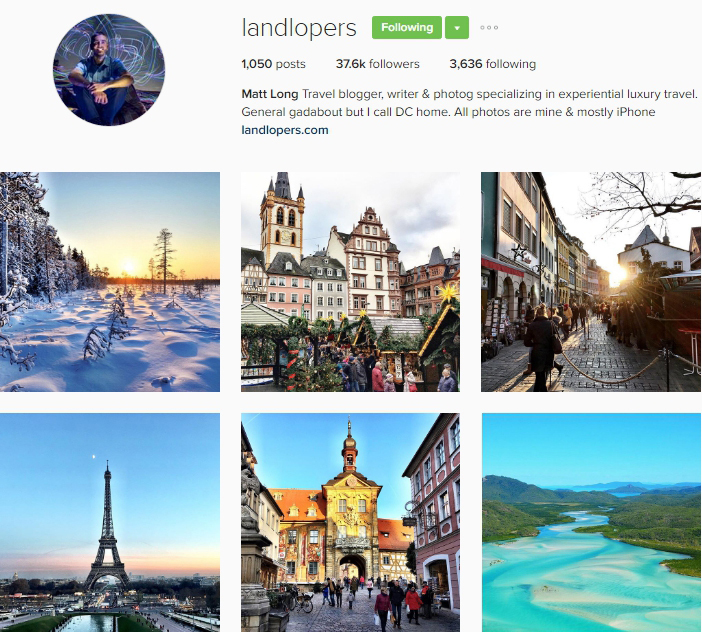 From enticing cityscapes to stunning landscapes, follow Matt aka Landlopers on his Instagram microblog. With a lust for life that is bound to rub off on you, follow Kay and Dom for a daily dose of wanderlust. 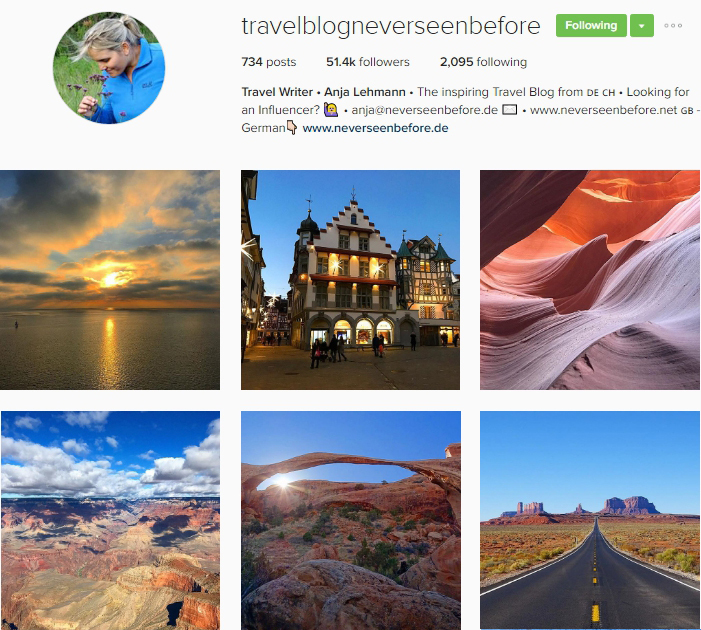 From the travel blog Never Seen Before, Anja shares some breathtaking photography and her blog is in both German and English (so even I, with no talent at all for languages, can read it). 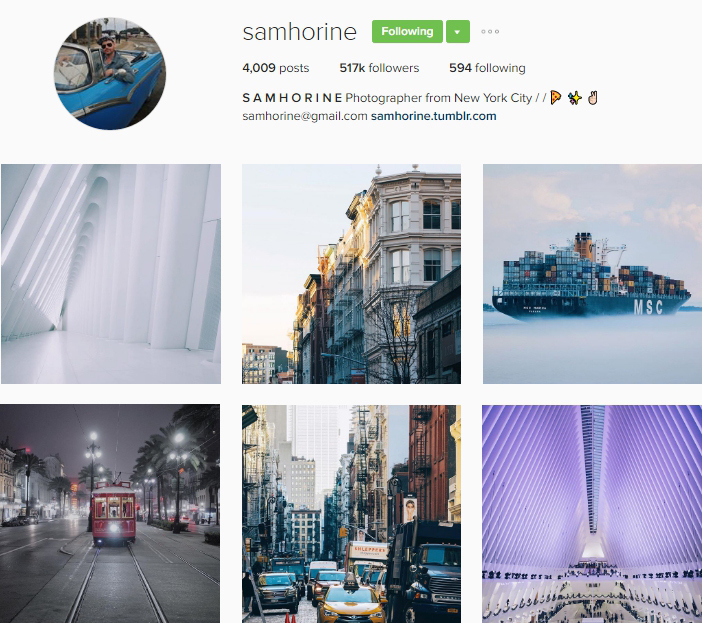 Finding beauty in the everyday, follow New York photographer Sam Horine and hope it rubs off. Regularly inspiring me to dream of ever bigger adventures, The World Pursuit, is guaranteed to get you daydreaming too. He’s on a mission to photograph every country in the world. 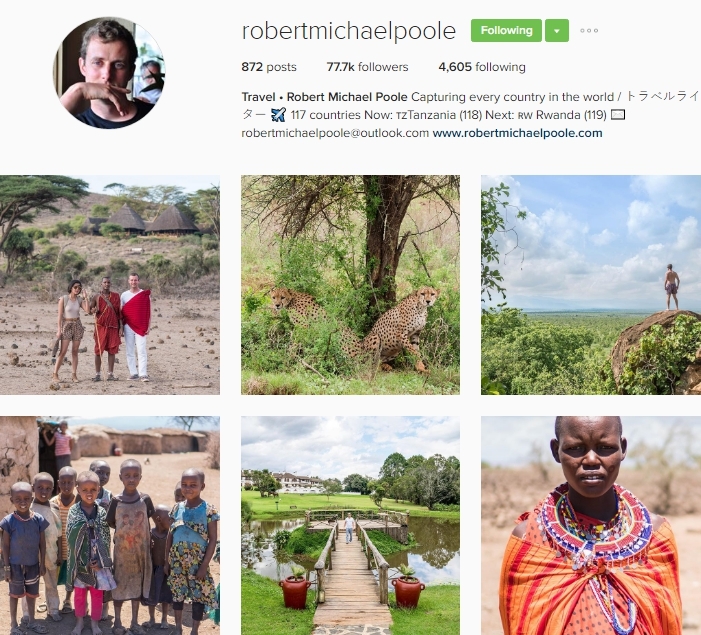 Follow the wanderings of Robert Michael Poole. 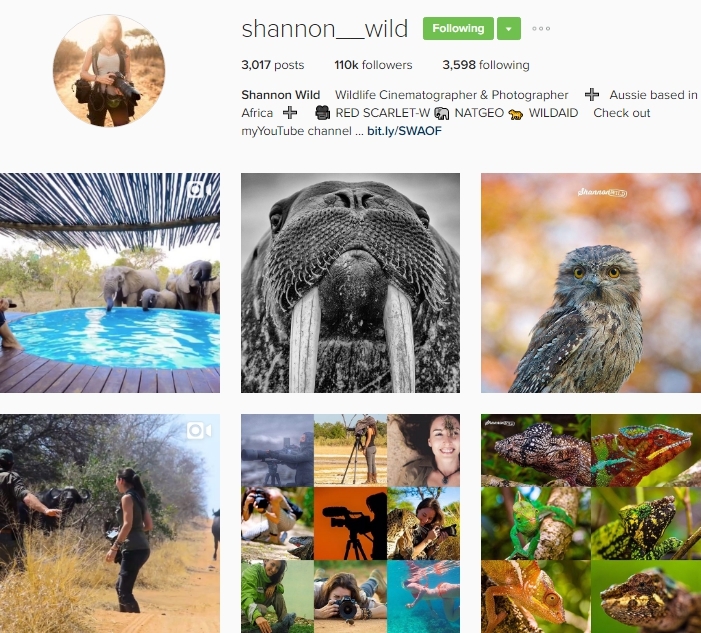 One of my favourite wildlife photographers, follow Shannon as she travels in search of all things wild, Shannon__Wild. Wow! Thank you for including us. I love all of these accounts, they all inspired me to travel the world. My pleasure Natasha. I’m really looking forward to seeing where your travels in 2017 take you. I must do more with Instagram! 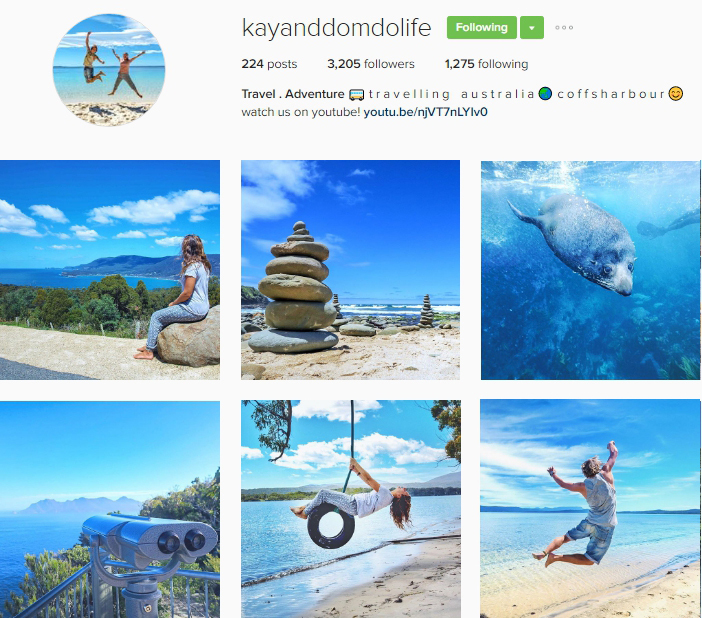 I particularly love the way @thetravelnova and @kayanddomdolife do their colour grouping, very evocative! My pleasure! And you certainly are.